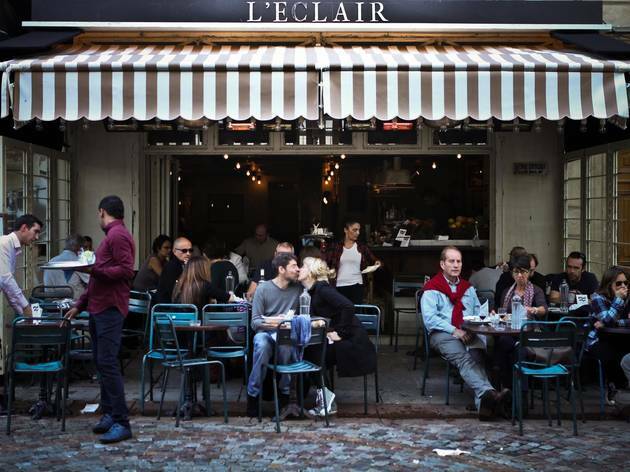 A surprisingly cosmopolitan enclave in an area hardly renowned for its trendiness, L'Eclair has become the watering hole of choice for the local hipsters and Erasmus students – with the occasional tourist chucked in for good measure. Not that it's a whole lot cheaper than its neighbours: cocktails are the order of the day, and though delightfully quirky, they clock in at €12–€14. We opted for the Head Hunter (rum, lime, raspberry purée and elderflower liqueur), which came served in a skull-shaped glass, and the Cowboy Smash, a concoction of pineapple and tobacco liqueur(!). 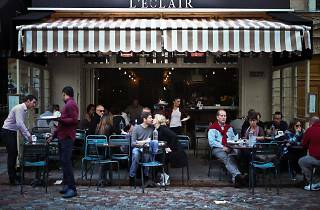 There are some basic food options – hot dogs, burgers, salads – but nothing to write home about. The bar comes into its own if you're sharing; €38 will get you a litre-sized jug of cocktail, while a multi-portion hot dog is a relative bargain at €12.50.